We can gain experience from many different things in life, from school and work to falling in love and raising a family, but one of the best experiences any person can have is relocating. Exploring the world and seeing many of the famous landmarks and sights, before finding on a new destination to settle down for good will have a massive impact on how you develop as a person. Not only does it make you independent and develop skills that you didn’t know you had, but it opens up your eyes to a whole new way of living, giving you a completely different perspective and way of thinking. This change in you will help you to define yourself as an adult and see traveling and relocating as the best experience you’ve ever had. If a loved one decides to visit you, you will more than likely want to make sure they have the best experience possible. This article will show how you can make it a trip to remember. Singapore is currently the only island-city-country in the entire world, located just south of Malaysia; it is home to 5.6 million people. Despite being just over 270 square miles, there are plenty of options that will suit your loved ones’ desired needs when choosing a place to stay while in Singapore. You could choose to stay with them in luxury accommodation on Orchard Road also known as the Orchard, as a treat, a popular tourist attraction for anybody who loves shopping. Or if you wanted to give your visitor a more cultural trip then choosing to stay somewhere like Little India or Chinatown offers just that. You could get to know some of the locals and see how they live and what it is like to stay in the real Singapore. While you may be more inclined to go to a restaurant that offers more food that your visitor would be familiar with, you should try traditional Singapore food made by locals at markets and food centre stalls. 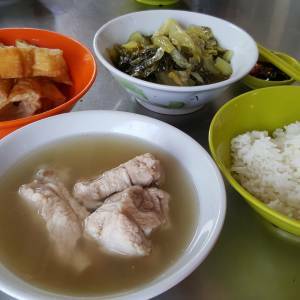 Here you’ll find loads of traditional Singaporean dishes that any foodie will love including, Hup Hong Chicken Rice, Laksa, and Bak Kut Teh to name a few. These food centres are easy to find and can have up to as many as 85 stalls, so your choice is almost limitless. To make this a trip to remember, social media can become one of the best tools to hand. If you use Instagram for example, you can take a picture of traditional Singapore food and tourist attractions, upload it with a description of what it is and where you sourced it from Quite often people will take lots of photos and forget where they are from or what the picture is, but using social media to show you exactly when and where you were can help you both remember the trip. Plus, you can always return there should you fancy it. Everyone loves getting souvenirs from their travels, as it is a key part of remembering your trip, but it’s not always an enjoyable experience. You could spend hours with your loved one trailing around trying to find something that they will love, but quite often it will not even be that great, and you’ll forget to enjoy your time there because you’re so focused on finding the “perfect” gift for them to take home. Since the introduction of the internet, our lives have been forever changed, including how people travel. You can plan where you will stay, where you can eat and what you will do, but you probably have never thought you could do the same for buying your souvenirs. Expedia has offered a solution that will do the hard work for you in finding you the best souvenir. So, what exactly do they offer? Expedia has created a unique service called Expedia Souvenirs, allowing users to see some of the best souvenirs that are in the area they are visiting, using the power of communication and Instagram as the tool. This new online tool provides you with a digital map of the world and enables you to click on the destination you are visiting and see what other people have discovered on their trip. Expedia devised this campaign in order to inspire people to find an authentic, cultural reminder of your trip, than just a generic gift. The art of it being easily accessible and visible means you can use it while you are on your trip and find your souvenirs more conveniently than you would have done without it. It is truly utilising Instagram in the best way; to share and communicate visual happiness in a picture to help others. And there you have it; some simple ways you can makes sure your loved ones’ visit is one to remember. These points are sure to make memorable experiences, and may even convince your loved one to join you in Singapore for good!